PRICE REFLECTIVE OF SELLERS MOTIVATION on this one owner custom built home that has been totally remodeled inside and out. New Kitchen includes granite, white cabinets and appliances, American Walnut Flooring flows throughout the main level. New carpet, all 3 Bathrooms updated. Finished lower level with egress brings your living space to over 2700 sq ft. The AMAZING 3 car multi purpose attached garage is both heated and cooled and has a Versa Lift attic elevator for storage. Large barn with new siding, metal roof, electric, water and Pasture makes this a perfect area for a Mini Farm, (Ideal for 4H Participants) Updates also include siding, gutters, windows, roof, HVAC, H20, Well pressure tank. 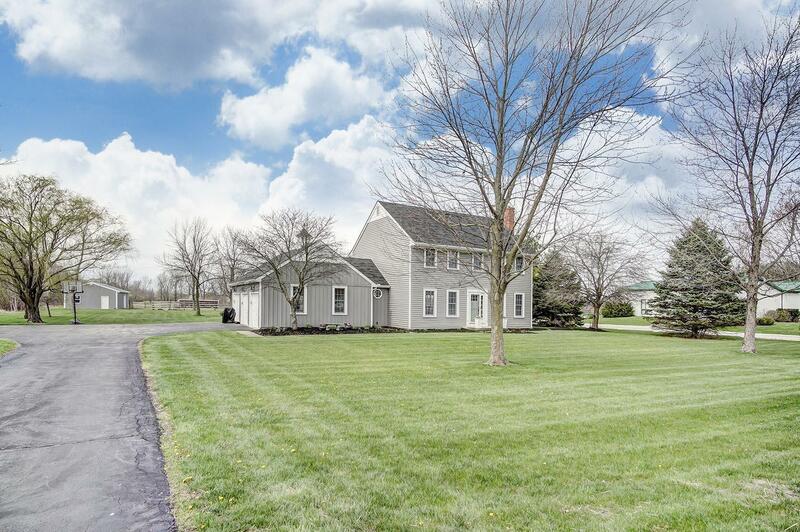 FIVE ACRES, Hilliard Schools, This ia a Must see!